This months Gem News is about Nirvana Quartz. Honestly, I don't know why I hadn't tried it sooner. Well ... in my logical Taurus mind, I usually tend to veer away from ones that I 'think' have a gimmicky name. I have to say, this time it was my loss as this one absolutely lives up to its name and is pure bliss! Nirvana Quartz was only recently discovered in 2006 after Himalayan glaciers began to recede due to global warming. It is also known as ice quartz, as many of the pieces have oddly shaped forms resembling shards of ice. 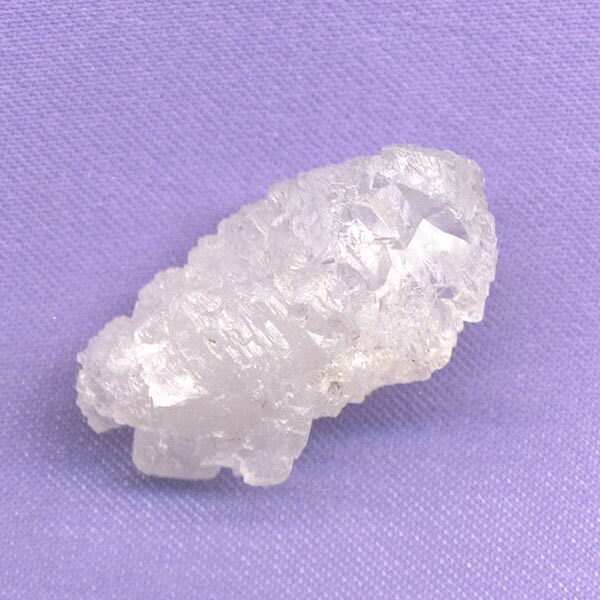 As a type of Quartz, this one is included in the trigonal crystal system. 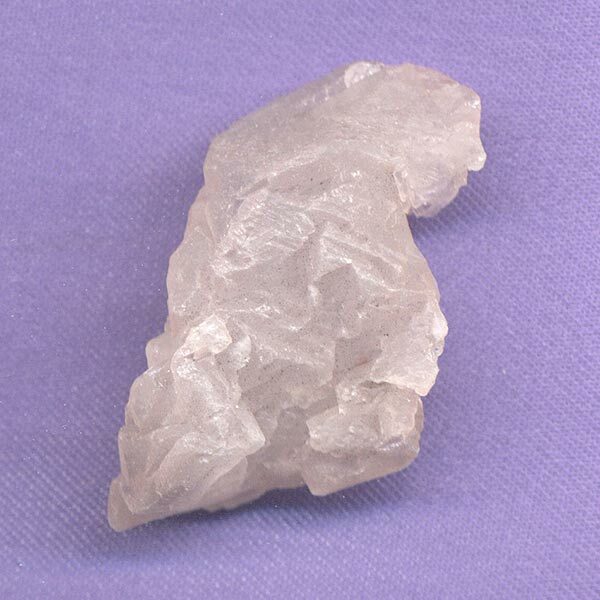 Nirvana Quartz is a specific group of growth-interference quartz crystals. They are found at an altitude of 18,000 feet in the Himalayan Mountains of India. Most Nirvana Quartz are wand-shaped. They are trigonic in nature... meaning, one or more of the termination faces of the crystal is inscribed with a triangle. The point of the triangle points downward away from the termination. The calcites and other minerals that dissolved and disappeared just prior to its crystallization left the crystals irregularly formed with deep recesses and strange contours. They are found in only two colors: clear white or pink. Nirvana Quartz can take you to the higher planes and help remove spiritual barriers you have placed upon yourself. It helps you understand that steps are needed to achieve your spiritual goals, and by removing the energy blocks it aids us in seeing that all things are possible for us to achieve. Nirvana Quartz helps to dissolve inner emotional wounds and encourages acceptance of self. Nirvana Quartz can assist in quieting your mind, stopping or stilling the mental chatter and then enable you to receive the guidance that you need. 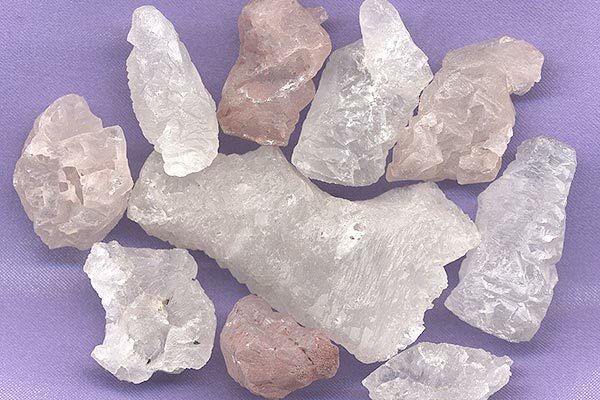 I think the biggest physical benefit of Nirvana Quartz is that it helps to bring about a deeper state of meditation. Consistent, deep meditation provides pain relief, lowering of blood pressure and reducing stress levels. A calm, peaceful and happy mind brings wellness to the whole being! Enables you to reach the state where you are able to let go of things that bind you in the perpetual state of living life after life. Helps to release karmic debts and experience the state of bliss. Opens higher spiritual connections. Found to provide a connection to the Archangel Jophiel (whose name means Beauty of God) who will assist you to overcome emotional pain and sorrow, enabling you to heal deeply in all directions of time and space. Helps to dislodge old self-limiting and self-destructive patterns. The most blissful effect for me came from meditating with a white one in one hand and a pink in the other. It seemed to create a loop of love (Higher Heart Chakra) and higher spiritual consciousness (Crown Chakra). Even though I am generally well grounded, I did need to hold on to a chunk of Black Tourmaline for a bit after using these little guys to ground myself from the floating feeling that continued after I set them down. I tried carrying one and can't recommend it, unless you really enjoy being a space cadet as you go through your day. This one seems best used during quiet spiritual contemplation.